For continued clinical gains in the practice of radiotherapy, management of breathing motion is essential. The problem of organ motion in radiotherapy is complex; thus, interventions to reduce organ-motion-related uncertainties require effort, expertise, and collaboration from many disciplines. 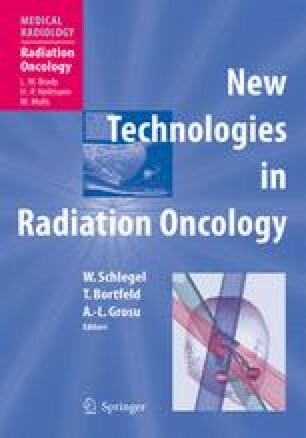 The application of image-guidance techniques, i.e., imageguided radiotherapy, will play an increasing important role in developing new and improved delivery techniques, i.e., adaptive radiotherapy. With some anecdotal clinical evidence and many potentially beneficial but unproven technologies under development and on the horizon, it is essential to place equal emphasis on the planning and implementation of prospective clinical trials.